I have been a kindergarten teacher for 10 years. I’m not a trained teacher, but in Japan it is easy to get a job as an English teacher without a license. So always having wanted to be a teacher of little ones, I was blessed to so easily find a job doing what I love in Japan. I love teaching, I love kids, and I enjoyed a lot about being a teacher. Now I am having a break from teaching as I look after my own little ones. OH the glorious thing called Maternity leave! I like to think I was a good teacher, I did my job, well the kids loved me and over the 10 years I learnt a lot about kids and what makes them tick and what doesn’t! But even though all kids are different, sometimes being a teacher can make you think you are an expert at kids. I remember quite shamefully, telling parents how I thought they should handle their kids, what routines they could do, how to discipline them etc. But I had NO kids at the time, I basically had no idea what life with your own kids would be like! How humbled was I when I had my own! After having my own kids the balloon popped! Sometimes I wonder if my daughter was in part created to show me what to be humble really means. I love her to bits, she is sweet and caring, funny and cheerful, loves people, loves adventure, loves life, but she is also free spirited, strong willed and wildly passionate. And even if she had a different character, it wouldn’t matter, because looking after 20 other peoples kids in a disciplined and routined setting, and looking after your own child who likes to cling to you every second, tells you exactly how they feel all the time and likes to push your buttons to the limit, is totally different! I thought I could do it, I thought aside from the baby thing the whole parenting thing would be easy! I thought I had got this down! Let me tell you being a teacher and being a parent is a whole another ball game! Being a parent has revealed a big GAP in me! A gap of patience, grace, understanding, skill to relate and move forward with my child, and sometimes a gap full of complete exhaustion. It showed a huge weakness in me – that can only be filled by God! A gap he wants to fill! But I needed that gap! 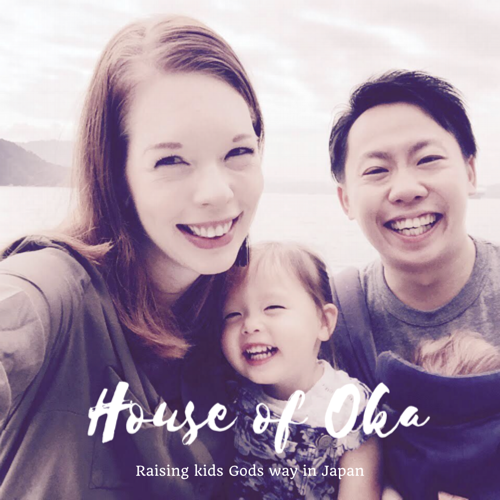 I needed it to draw closer to God, to realize my need for him, and not to fly high with my perfectionism and become the super mum I thought I should be! We all have gaps, in our marriage, our finance, our friendships, our careers, our relationship with God, or even in our parenting skills! And it’s OK to have those spaces, because that’s where God wants to show us that he has the ability to fill that space in our life! He wants to fill you with his truth and wisdom, he wants to answer your shouts for help! So what do we do when we have those gaps in life? So we are in the midst (hopefully coming to the close…) of the ‘terrible two’ stage. There have been a few tantrums, and a few tears, it’s all fun and games really! But I think one of the things that bothers me about Kara’s tantrums and my inability to pick myself up off the floor after, is that it makes me feel like a bad parent. When I yell at my kids, or lack patience, when I am exhausted, or just don’t know how to deal with my daughters tantrums. I feel like a bad parent and that everyone is looking at me as a bad parent. But that is not true, and God wants me to turn to him, draw close to him and be free from those lies, and free from my efforts to be perfect, stop trying to be the perfect mum and let go of my pride. And it’s not something I just do once, I need to keep giving it to God because those, lies and pride will creep up on me when I am not looking. I need to keep giving it and when I do, God fills my need of extra patience and grace, and loving and understanding to give to my kids. Sometimes in the gap it is easier to push in the other direction, away from God. We feel we are not good enough for him, or don’t want to bother him with our problems and little weaknesses. But God wants to help us with every little thing. He wants to be in on our lives, to complete us and make us whole again. Getting closer to God in the gap can renew our thinking and fill us! But sometimes there needs to be a gap, to bring us closer! If it was all easy and I could do parenting just as well as teaching. Then I would just be showing my own strength. But the point is our own strength only takes us so far. We need God’s strength to take us further. If I am going to get anywhere through this ‘terrible two’ stage, I need more of God. More of his wisdom, guidance, patience, grace, love, understanding, faith, hope. I need whatever I can get – but the good thing is I can get that, by reading the bible, letting him speak to me through it and letting him refresh my soul. And when I get filled with God, I can give hope to others that they can also be filled. Being a parent is joyful everyday, but yes, some days the truth is I struggle as a parent, in tantrum battles, in not knowing whether I am doing the right thing. But that’s why I need God’s grace and love for my children. Everyone has area’s where they struggle, by not trying to be perfect and do everything on my own strength, I can encourage other mums too that they can also get God to fill them in the areas they are lacking! We can offer hope by sharing how we depend on God to fill our gaps! Sometimes being honest and not trying to show we are perfect, but that God is, can help others more than we know! 3.Take your eyes off the gap and look to the future. Sometimes in our struggles, we only notice the problems. That is what we focus on! It would be easy for me to just focus on all the struggles I have with my kids and miss out on all the super cute and sweet things they do! But focusing on the problems, keeps us locked in that area, unable to break free. It prisons us, but God doesn’t want us to stay in that prison! The Gap’s in our lives now are not going to be there forever! Kara is not going to be having a tantrum on the floor when she is 20! Sometimes we need to lift our eyes up off the floor where our desperateness lies and look up to God and the hope for the future. As I look at my inability to pick my screaming daughter up off the floor, I have the reassurance from God that this won’t be forever. The gaps in our lives don’t need to be forever. Either they will be filled, or we will find we don’t pay as much attention to it anymore! When we stop looking down at our problems, and look up to God he can show us the bright future! I need to be able to keep my eyes on God and let him show me the vision for my kids and their future, rather than focusing on the daily struggles I might face now. I know God has a great future for me and my kids and I want that to be the highlight of my day rather than my struggles.